Personal Trainer jobs are available with Exercises.com.au, Australia’s Premier Exercise and Fitness Website. We have several jobs for Personal Trainers in different areas of our business as we continue to expand. 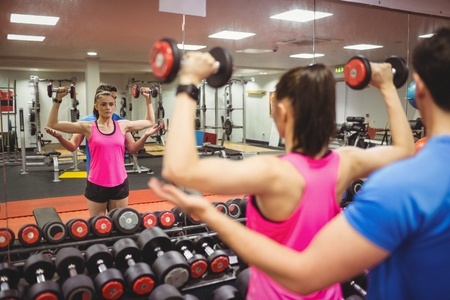 So if you’re looking for a career in fitness and have the expertise we’re looking for, this could be one the best Personal Training jobs you’ve ever had! We’re looking for the best of the best to work with to help us to build Exercises.com.au into a household name and we need expert Personal Trainers in Brisbane, Sydney, Melbourne, Adelaide, Perth and across Australia to help us achieve this goal. If you’re a qualified Personal Trainer with over 5 years full-time experience working with clients and helping them achieve their fitness and health goals, we’d like to talk with you. Exercises.com.au is Australia’s home of exercise. With over 1000 pages, 523 exercise videos, 400 articles on exercise, fitness, weight loss, muscle building, strength training, toning, nutrition and more, we’re the place to go if you’re a beginner or beyond. Personal Trainers use our site as an exercise database to refer to daily for new exercises to use in client workout routines and for ideas to write client workout plans. Consumers us our site to search for new exercises to try in their gym workouts, home workouts or outdoor workouts, as well as to find exercise programs to help achieve their goals. We offer exercise programs for beginners and upwards in the areas of weight loss, muscle building, strength training, toning up, getting rid of cellulite, getting rid of belly fat and more! We’re looking for expert Personal Trainers to write effective exercise programs to incorporate into our programs and fitness challenges. You’ll be required to demonstrate your expert knowledge in writing programs for clients that help them achieve their goals. 3 Referees (Gym or Studio Owners) we can contact to discuss your work experience and conduct while working for them. At least 5 photos of yourself working out in the gym, in a studio, at home or at a park. 5 sample exercise programs you’ve personally written for clients and implemented that helped the client achieve their goals. What do you bring to the table that other PTs don’t or can’t? What are 7 character traits that make you successful as a PT? Where do you think other Personal Trainers ‘get it wrong’ when training clients? What do you think clients are really looking for in a Personal Trainer and Personal Training Program? What do you do if a client gives you excuses for not training or not following your prescribed meal plan? How much do you usually charge a client for a personalised exercise program and meal plan? Are you a member of FitnessAustralia.org.au? Thankyou for taking the time to read this and we wish you all the very best in your Personal Training Career.